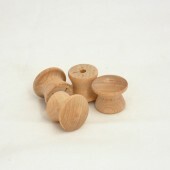 .640'' x .750" Knob1/4'' Tenon Sold in lots of 25. As low as $1.80 per lot. ..
1'' Drawer Pull Knobw/ 3/16'' holeSold in lots of 25. As low as $3.00 per lot. 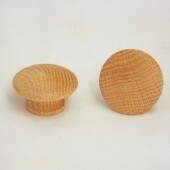 ..
1'' Oak Drawer Pull KnobSold in lots of 10. As low as $1.30 per lot. 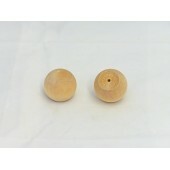 ..
1-1/2'' Drawer Pull KnobSold in lots of 10. As low as $1.56 per lot. 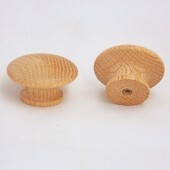 ..
1-1/2'' Oak Drawer Pull w/ 8/32'' Metal InsertSold in lots of 10. As low as $2.30 per lot. ..
1-1/4'' Drawer Pull Knobw/ 3/16'' HoleSold in lots of 10. As low as $2.50 per lot. 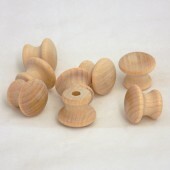 ..
1-3/4'' Drawer Pull KnobSold in lots of 5. As low as $1.45 per lot. 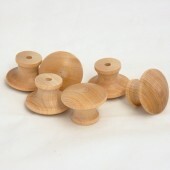 ..
1-3/4'' Oak Drawer Pull KnobSold in lots of 5. As low as $1.60 per lot. 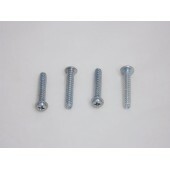 ..
2'' Drawer PullSold in lots of 5. As low as $1.65 per lot. 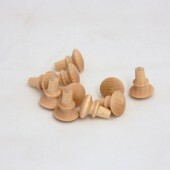 ..
3/4'' x 5/8'' Knobw/ .180'' holeSold in lots of 25. As low as $2.38 per lot. ..
Sold in lots of 10. As low as $0.95 per lot. ..
Sold in lots of 10. As low as $2.20 per lot. ..
Sold in lots of 10. As low as $1.69 per lot. ..
Sold in lots of 10. As low as $4.00 per lot. ..